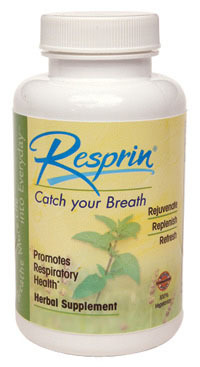 RESPRIN® is a 100% natural proprietary blend of 23 herbs specifically formulated, based on TCM principles, to support respiratory health. * The new RESPRIN® formula is a stronger blend than the original and contains 17 certified organic herbs! 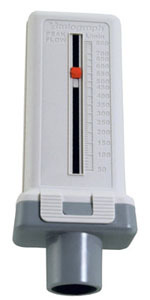 The Peak Flow Breath Test Meter measures respiration levels.